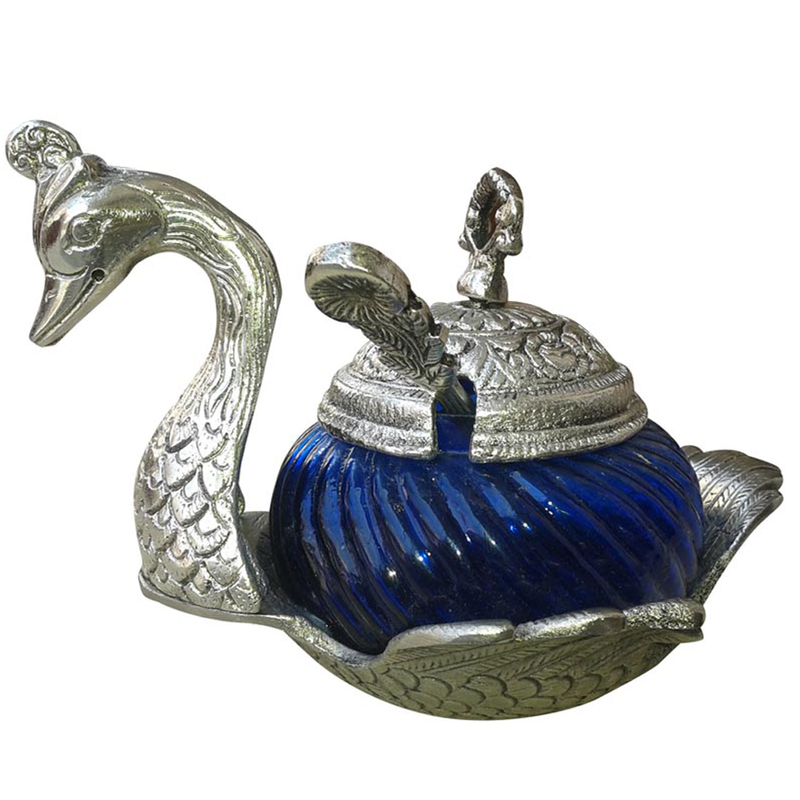 The White Metal Duck Shaped Bowl features exquisite design work on the metal body of this piece, which resembles the shape of a duck. The Read More..serene shade of the white metal nicely contrasts the transparent blue shade forming the midsection of this elegant piece. 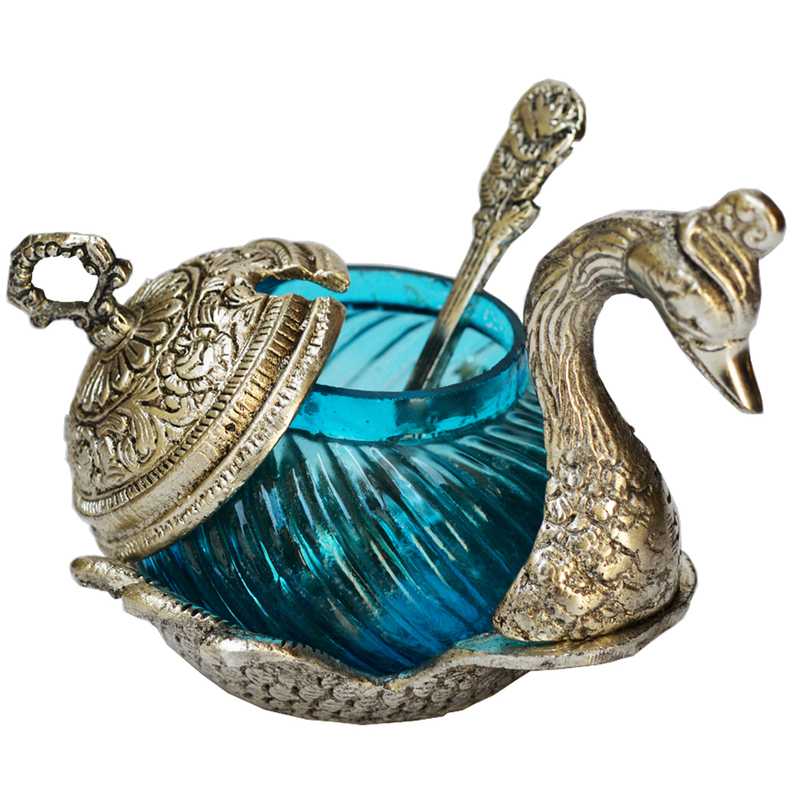 This item can enhance the look of any tabletop it adorns, and make for an excellent collectable as well. Show Less..